Do You Have A Marketing Blind Spot? By now, most marketers believe they have it covered when it comes to the intersection of marketing and technology. They’ve accepted that digital marketing is the future, a mobile strategy is a necessity, and digital content distribution is critical. Owned digital channels have always been the most developed in terms of analytics and understanding. Through consistent tagging, web analytics (e.g. Google Analytics), and other custom website engineering, brands have the most control over what they create and distribute. When it comes to social marketing, the same holds true. Brands are doing a good job monitoring their owned social channels, tagging links that they share, and responding to comments. But with the declining reach of owned social distribution, paid social has really become the focus — the measure of social success. Many marketing departments even work with digital and social advertising agencies and platforms to at least somewhat programmatically deliver ads to their target market. And equally important, they receive and analyze reports on their paid social ROI to continually optimize them. As social networks vie for more marketing dollars, they, too, offer relatively sophisticated analytics on paid social posts. In general, brands are doing a pretty good job of tracking and understanding their owned and paid social. If you’re there, that’s all well and good, but you’re still missing a hugely important aspect that’s holding you back from doing the most effective marketing. So what’s the blind spot? Yes, paid has certainly overtaken owned in the pecking order of social importance. Many brands have even made the decision to put money behind every post to ensure visibility, turning owned social, essentially, into customer service. Earned social, however, is often forgotten in this discussion, and for many brands it is the most important. Earned social is what a brand’s fans share organically. It’s peer-to-peer word of mouth, only digital. And it holds the most telling customer insight. The content they choose to share and interact with, without prompting from the brand, is the most authentic customer input they could possibly give. Who they share that content with is the greatest indicator of who your target customer is, and where they share it tells brands what channels their customers use to communicate day-to-day. Customer gold lives in earned social. The information brands need to do their best digital (not just social) advertising — the content, the channels, and the people — can be found in a deep understanding of earned social. And unfortunately, it’s a huge blind spot. The lack of earned social understanding also leaves web analytics’ channel attribution incomplete. For the majority of marketers, social only gets credit for paid and owned social referrals (through proper ad tagging and web analytics’ referral analysis). A lot of earned social is missed because peer-to-peer sharing commonly happens on “dark social” channels — social mobile apps, messaging apps, instant message, text, and many email clients. Proper earned social measurement allows marketers to give social the full credit it deserves. Inside Social fills this gap in marketing knowledge and helps give brands a complete understanding of their digital marketing. Through our proprietary social tracking technology, we can connect all types of social sharing (including earned!) to their downstream conversions. Understanding earned, in tandem with owned and paid, allows brands to see the full social picture and understand their customers at the most comprehensive level. Marketers have made big leaps forward in integrating technology to do better marketing, but there are always more gains to be had. What blind spots are you thinking about? 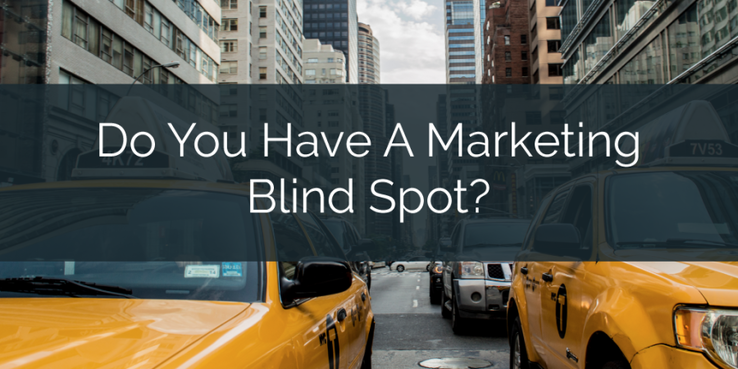 This article was syndicated from Business 2 Community: Do You Have A Marketing Blind Spot?